Not to knock against solar panels, but they’re not always the most beautiful pieces of equipment. When you’ve spent time perfectly pairing your roof tiles to match your home’s siding, shutters, and trim, you risk altering the whole aesthetic when you slap panels on top. In fact, some homeowners groups and organizations even forbid residents to install solar on their roof. Because of this, many local governments maintain solar easement laws which state that no entity—including an HOA—can prevent homeowners from installing solar. But not all of them do. If you want to go sun-powered in one of these areas, you might be in for a big fight with your homeowner’s association. The aesthetics of solar are controversial, to say the least. Luckily, solar energy systems are getting a big makeover, one that makes them more attractive from the ground up. Building-integrated photovoltaics—BIPV for short—is a new a type of solar array that positions solar cells directly into building surfaces. Included in this category are solar roof tiles, window glass, and building walls sandwiched in glass with screen-printed coloring that gives them an attractive look and the ability to blend into almost any surface. Today, let’s check out BIPV—where it is now, where it’s going, and how you can get these stylish new products up on your roof today. Although solar typically improves home values, panels may not have the kind of curbside appeal you’d like for your home. Solar roofs, in the form of solar shingles, have actually been around for a while—Dow Chemical has been producing them for several years. But they never got the kind of attention they needed to really take off—that is, until Tesla’s SolarCity announced that it would be producing its own version of this eye-catching take on solar. The Tesla product features molded glass panels that are shaped to mimic asphalt or tile roofs. Beneath this, colored louver film gives the panels the right hue and texture. And hidden beneath this coloring is the solar cell, silently absorbing light with efficiencies that rival conventional panels. Tesla always makes waves when it releases a new product, and despite initial concerns over the price of the roof, founder Elon Musk says they’ll be cost competitive when they debut later in 2017. Still, Tesla may have a slightly different definition of “cost competitive” than the rest of us do, so expect to see some budget-friendly alternatives making the rounds on the market soon. Meanwhile, smaller firms have been manufacturing frameless panels and custom solar roofs for years now. But unlike most solar panels, they’re not out-of-the-box units that can be placed on nearly any roof surface. These companies enlist the help of their designers and architects to build a personalized solar surface that fits your home’s design. They’re definitely not as cheap as the products coming out of China, which represents the majority of what’s sold in the US today. But they are one way to get an aesthetically-minded solar energy system, without waiting for the solar roof to be released. From a materials perspective, the idea of solar windows makes total sense. After all, they’re already made out of glass, and most solar cells are encased in glass plates. And indeed, top-of-the-line manufacturers do produce clear solar surfaces that can be used in place of windows. They’re not very popular with homeowners yet—probably because they’re fairly expensive still—but that doesn’t mean they won’t be one day. However, there is one drawback to this kind of BIPV. The average residential window sits perpendicular to the ground—not exactly the best angle for picking up rays. Finding the optimal tilt for solar surfaces depends a lot on your location and the time of year, but it’s safe to say that 90 degrees is way off, no matter where your home sits. That means your solar windows just aren’t going to be as productive as your average roof-mounted array. In fact, they probably wouldn’t be worth it at all unless you had a particularly sunny south or west side of your home—and that can make it hotter in your home’s interiors. So maybe the idea of rooftop solar doesn’t exactly thrill you. 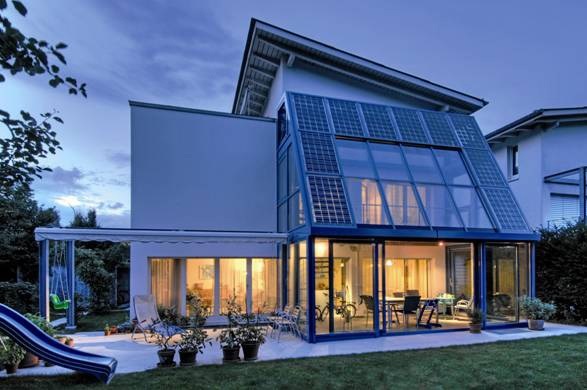 BIPV is all about integrating solar in unique ways, so there’s no need to limit yourself. 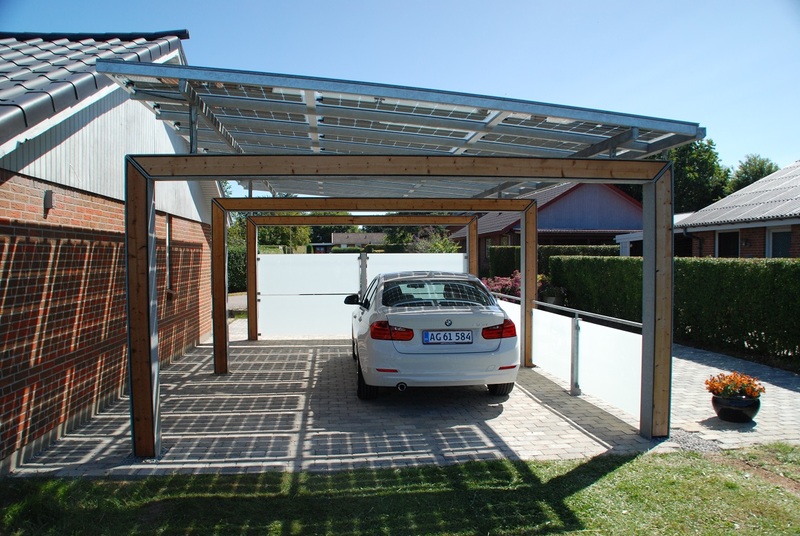 A lot of homeowners opt to build an entirely new structure, like a pergola, shade, or carport, and topping it with a solar surface that connects to their home’s electrical systems. The real benefit here is that you can design the new building with a tilt and orientation that makes sense for your home’s logistics—and you don’t have to sacrifice your roof’s existing aesthetic to make it work. Those are just a few examples, of course. With as fast as solar is growing, it wouldn’t be surprising at all if we were discussing a whole new range of possibilities by this time next year. One thing’s for sure: as cells become more flexible and the technology progresses, you’ll only have more options for what you can do with your solar installation—the sky is truly the limit!